Spray muffin pan with nonstick spray. In medium bowl place flour, sugar, baking powder, paprika, and salt, then whisk together. In large bowl place milk, oil, and eggs, then whisk together. Add flour mixture to milk mixture, then whisk together just until blended. Do not overmix. Batter will be very thick and gooey. 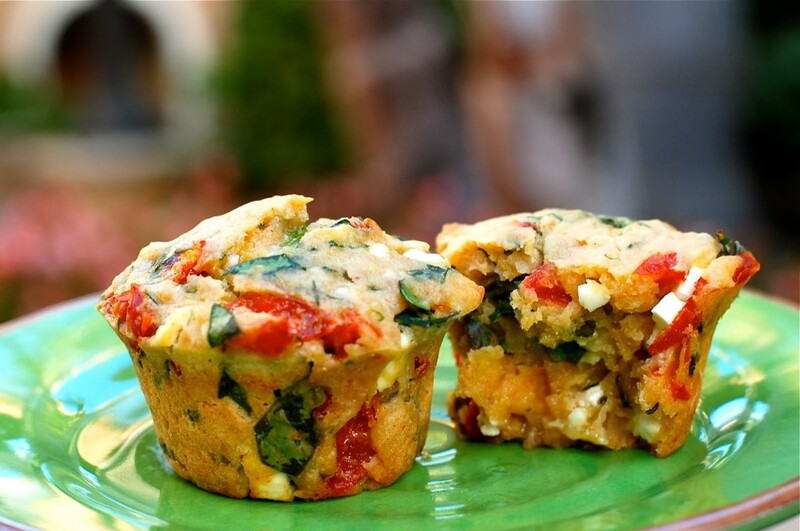 Fold in spinach, feta cheese, and peppadews. Fill each muffin cup to the top until there is no more batter. Bake in oven for 25-35 minutes, or until a toothpick inserted in the center comes out clean. I always start checking at the minimum recommended time. In this case, they were done in 27 minutes, but it will depend on your pan and the size of the muffin cups. Top with butter (optional) and let cool for 5 minutes then remove from pan and place on cooling rack. If necessary, run your knife around the edges of the muffins to release them from the pan.